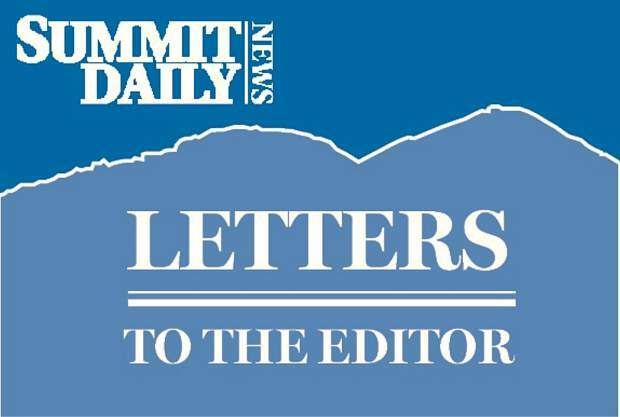 Summit Daily letters: To 1A or not to 1A – a $100 million property tax question! To 1A or not to 1A – a $100 million property tax question! I cannot take issue with the overarching need for the 1A items on this ballot, more so since each has its own logic and a passionate constituency. But I have questions. The last Safety First 1A provided Summit County Ambulance Service with about $1.6 million of annual funding for operations through 2022. Why then has the county budgeted about $1.6 million of these funds in 2018 for building a new joint facility with Summit Fire & EMS in Frisco? Now if this becomes part of an organizational consolidation with SFE along with the requisite operational and fiscal efficiencies (as recommended by the recent Emergency Services Consulting International study), I’m not sure I’d take issue with the allocation. But, without the requisite ballot language, how confident can we be that the funds appropriated in this new 1A would be spent accordingly? Per the Board of County Commissioners’ Resolution No. 2018-45, $1 million annually is to go to wildfire. But as a member of the Summit County Wildfire Council for nearly four years, I question why there wasn’t any discussion of this new 1A initiative, what it’s for, or how the decisions would be made prior to the decision to put 1A on the ballot. And how does this relate to the 2010 1A that provides some $500,000 annually for wildfire through 2021? My understanding is that the Forest Service is the contracting and funding entity for fuel breaks. In fact, there are some 400-600 acres still under contract including the continuation of the Ophir Mountain breaks, with Peak 7 scheduled in 2019. Now there is a Summit County Wildfire Prevention Plan, a quality document, wherein there are numerous actions that could be undertaken. My dilemma: Why weren’t the Wildfire Council or Fire Districts for that matter engaged beforehand? Is there a plan for the county spending $1.5 million annually through 2021 and $1 million thereafter, or just a thought that our recent wildfires will help build constituency for this bundled set of initiatives? Mental health and suicide prevention appears to be an acute need that is slated to receive $20 million over the next 10 years — a significant sum. Again, what is the plan to allocate these funds? 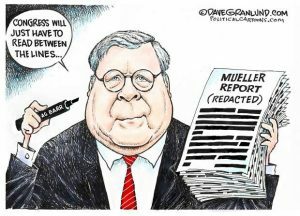 Will the county hire mental health professionals, set up a clinic(s), fund other organizations that have mental health professionals or underwrite training? How do the schools, our towns and local clinics fit in? Is this a coordinated effort? Wouldn’t school healthcare professionals reasonably be part of the school budget for which we previously voted large increases? Whatever the endgame, it seems to me that the county should appropriately incentivize the health care industry. This initiative appears to warrant serious consideration; unfortunately it is encumbered with nearly $80 million of other tax increases. Recycling and waste diversion in the amount of $17 million over 10 years! Why is this best funded through property taxes? Perhaps the Summit County Resource Allocation Park should be privatized and each of us pay for the cost of recycling individually. Is this about the cost of recycling or contamination or diversion rates or all of the above? Have you been to a drop-off station recently? If we as a community can’t collapse cardboard, can’t separate colored glass, can’t keep our plastics straight, why would we have any confidence that spending $17 million in tax dollars will improve this situation and eventually increase diversion rates? I would like to believe the county has dispassionately examined alternatives and has a real business case for this. But perhaps it is a business that the county should divest. Public building/facility repairs and improvements are funded by 1A to the tune of $16 million over 10 years. Now as a member of the Summit County Senior Center, I fully understand the need for expanding that facility. However, the seniors are on the hook for 45-55 percent of any eventual construction costs (as with the original building). Is there not a county facilities/maintenance reserve? For most organizations that I’ve been associated with, planning for capital needs extends many years into the future with few surprises. Why is it we need a new 1A to accommodate building/facility repairs and improvements? I have no doubt that affordable early childhood care and learning is needed. But, are monthly tuition assistance grants the best way of attacking this challenge? Who are the stakeholders? What are their respective roles, equities and current funding abilities? Should there be a coordinated, strategic approach across the county and towns based on locations, facilities and operators? If this need is so pervasive, then perhaps the towns should donate property, employers should enter into public/private partnerships to build facilities and the county should incentivize operators such as KinderCare Leaning Centers to come to Summit. I believe this to be less a property tax issue than it should reasonably be an employer issue. Can Vail Resorts, Breckenridge Grand Vacations, the builders, Realtors, businesses or the town and county governments for that matter really not afford to provide more in terms of early childhood care and learning for the employees who are their lifeblood? As I’ve said earlier, it’s difficult to take issue with any one of these on its own merits. But this feels to me to be a patchwork of constituencies in the hope that 1A can garner the requisite support to put it over the top. If so, so be it. However, I certainly do not believe these initiatives should be bundled. I for one would like to see more apparent leadership and planning before voting for an additional $8.8 million in annual property taxes or another almost $100 million (after property valuation increases) in taxes over the next 10 years. The three of us are proud and honored to support Julie McCluskie as Colorado’s next Representative for House District 61. Julie is an outstanding advocate for public education, housing, healthcare, the environment and economic opportunities for families and working people. Julie excels in the arena of public education. 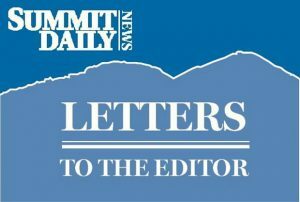 Having spent more than a decade in the Summit County School District, she realizes the critical importance of educating our young citizens. Public education offers solutions to the issues of our economy, the shrinking middle class, and the future prosperity of America. It is our public schools that will provide the educated, innovative, and creative workforce of tomorrow. Achieving this means having an effective leader, such as Julie, to ensure ALL students get a top-notch education, advocating fair pay for teachers, and collaboration and outreach to develop strong private/public partnerships. Due to Julie’s overall experience and dedication, we know she can hit the ground running on day one of her term. We especially appreciate Julie’s thoughtful leadership. She seeks out new ideas and different perspectives, weighs the alternatives, considers possible outcomes and develops sound positions. She’s approachable and engaged, and genuinely committed to the people she represents. Please join us in voting for Julie McCluskie for State Rep.
As a long-time resident — and during my nine years as Summit County manager — I had the opportunity to personally work alongside Jaime FitzSimons as he progressed through the ranks of the Summit County Sheriff’s Department. From his start in Summit County nearly 14 years ago, Jaime dedicated himself to our community, earning recognition for his hard work and expertise as a patrol deputy, detective, commander, and for the past two and-a-half years, Summit County Sheriff. While county manager, I learned that it was critical to have strong cooperation between the Board of County Commissioners, all elected officials, the county manager’s office and the general public. Additionally, the effectiveness of county government in providing services to the public necessitates open dialogue, hard work and problem solving. These are strengths that I have personally witnessed Jaime skillfully implement to improve operations within the sheriff’s office, and with numerous other cooperating agencies throughout Summit County and western Colorado. This isn’t just my observation. Summit County voters elected Jaime to Sheriff in 2016 because of his outstanding professional reputation as a law enforcement officer and a community member people could trust and count on despite never-ending challenges, rapidly growing tourist visitation, and resident populations and limited resources. Jaime has been at the frontlines responding to major impacts and problems facing our community. Whether it’s his team’s immediate response to this summer’s Buffalo Mountain wildfire — a catastrophe avoided — or his ongoing fight for improved mental health services, including suicide and addiction prevention, Jaime hasn’t rested. He’s empowered his team and offered his expertise to agencies and non-profits around the county, state and nation. These are not job requirements. But to Jaime, it’s not just about serving his department — it’s about serving the greater community. As someone who has witnessed personnel come and go in our county government for years, I believe voters are better off with proven leadership and tireless dedication. Let’s re-elect Jaime FitzSimons as Sheriff for all of us.